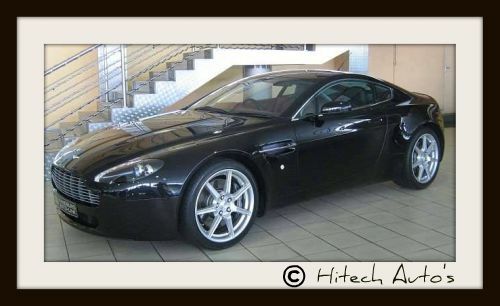 V8 Vantage is one of the world’s most beautiful cars: A elegant exotic car, yet with a controlled aggression; perfectly proportioned, with a low, purposeful stance; modern, yet incorporating classic Aston Martin design cues. 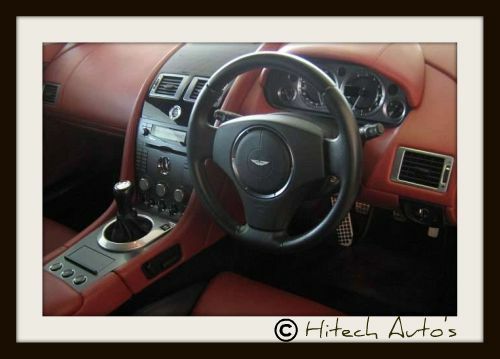 A stunning example of design purity, the coupe is, above all, instantly recognisable as an Aston Martin. The long, low bonnet line and two-seater cabin provide the perfect balance between beauty and sporting intent. 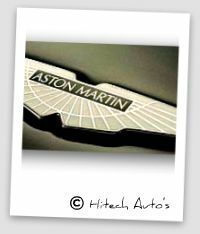 The V8 Vantage sits low and close to the road, while the front and rear overhangs have been purposely minimised. The side profile forms a simple sweep, a curved line like a bow under tension, while the rear haunches are wide and muscular, like the flanks of a powerful animal. 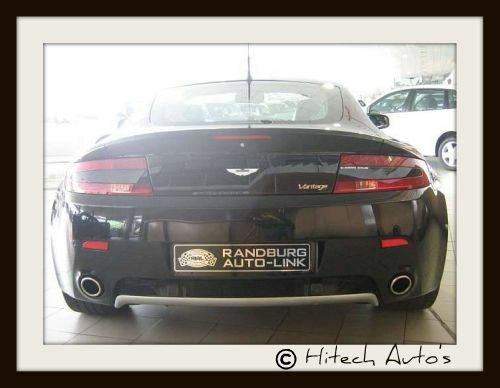 This beauty is Sold By Randburg Autolink. 21,000 km, Aluminium Dials, Rear Pdc, Electric Seats, On Board Computer, Body Coloured Bumpers. At just 4380 mm (172.5 inches) long, not only is this exotic car the smallest model in the Aston Martin range, but it also benefits from the inherent agility that accompanies compact design and excellent weight distribution. distribution, efficient aerodynamics and a truly remarkable engine. purpose-built engine facility in Cologne, Germany. is responsive even at the lower end of the rev range. At 5750 rpm, the engine delivers maximum torque of 470 Nm (346 lb ft), 77 per cent of which is delivered at just 1500 rpm – barely more than idle – making the cars extremely tractable and great fun to drive. Push harder, and the V8 revs freely, delivering refined, exhilarating pace. 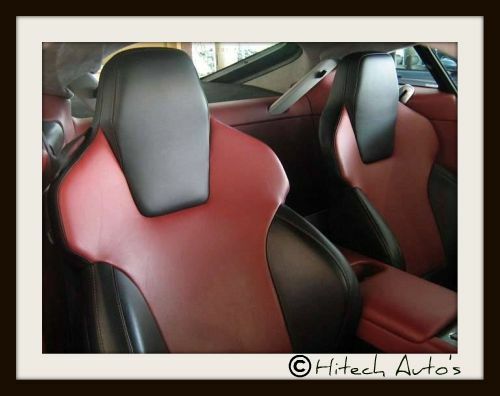 The Aston Martin DB9 is a thoroughbred sports car with GT levels of comfort and refinement. Combining Aston Martin’s unique character with an uncompromising design philosophy.